Augusta still is setting up its program; Oakland and Waterville have had school resource officers for at least 15 years and say they help keep teens out of the criminal justice system. In the wake of a video that shows a South Carolina sheriff’s deputy tossing around an uncooperative student, central Maine police and school officials on Wednesday said school resource officers play an important role in building relationships with teens. Deputy Ben Fields, who was suspended without pay when the video first surfaced, on Wednesday was fired from his position with the Richland County Sheriff’s Office. Richland County Sheriff Leon Lott told the Associated Press that Fields should not have thrown the student, while adding that “police officers make mistakes too” but “need to be held accountable.” Fields apparently confronted the student after she dismissed a teacher’s request to put away her cellphone and then refused orders to leave the classroom. The incident made headlines around the country, and a video of the encounter was shared extensively on social media and replayed over and over on cable news. In the video, Fields can be seen dragging a high school student out of her seat and then tossing her down an aisle. While Fields’ actions cost him his job and left the student with minor injuries, police and school administrators in central Maine say the school resource officers who roam the halls of area schools build important connections that can make a difference to the students with whom they work. 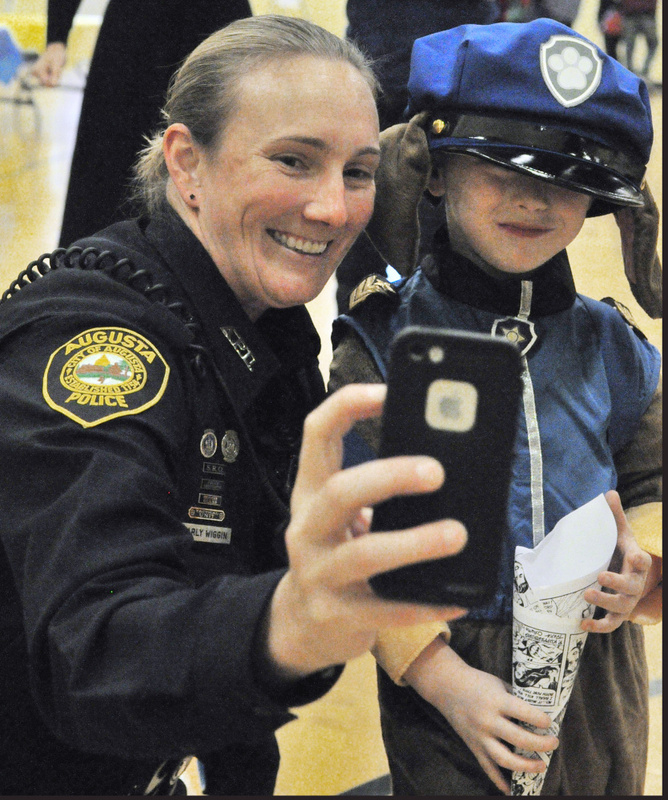 Wiggin, Augusta’s first-ever school resource officer, began working in the city’s schools last year, police Chief Robert Gregoire said. Creating the position has been a priority for Gregoire since he took over as chief in 2011. Gregoire said the resource officer’s responsibility is to build relationships among the Police Department, students and the community and to create a safer environment at the school. Gregoire said the department is in the final phases of creating the official job description for the position. While Augusta still is establishing its program, both Oakland and Waterville police have had school resource officers for at least 15 years. Oakland police Capt. Rick Stubbert said school resource officers fill myriad roles not always associated with police work. The school resource officer is a law enforcement officer with the responsibility of a patrol officer and a detective, Stubbert said, but the officer also is a counselor and an administrator. While there are events that always would elicit a response from a resource officer, such as any incident involving a safety risk, by and large the officers do not get involved in enforcing school policy, Stubbert said. When officers do get involved, it’s at the request of administrators seeking help with more serious infractions. Wiggin, whose career in law enforcement began when she joined the Augusta police in 2012, is building the students’ trust, Gregoire said. Though her office is at Cony, Wiggin works in schools throughout the city. During the summer months, she works in youth programs and at parks to continue developing connections with the students. Even when a student does break a law, the school resource officer often will handle it differently from a patrol officer. Instead of charging the student, as officers would on the street, a resource officer typically works with school officials to develop the best approach for the accused student. Stubbert said school resource officers have to be adaptable and flexible, and he said experience is helpful. Oakland’s school resource officer, Sgt. Tracey Frost, who works at Messalonskee High School, has been with the department for about 10 years, Stubbert said. Messalonskee Middle School’s resource officer, Adam Sirois, has been with the department only two years but served full time with another department before joining Oakland. Beyond experience, however, school resource officers need to work well with school administrators. 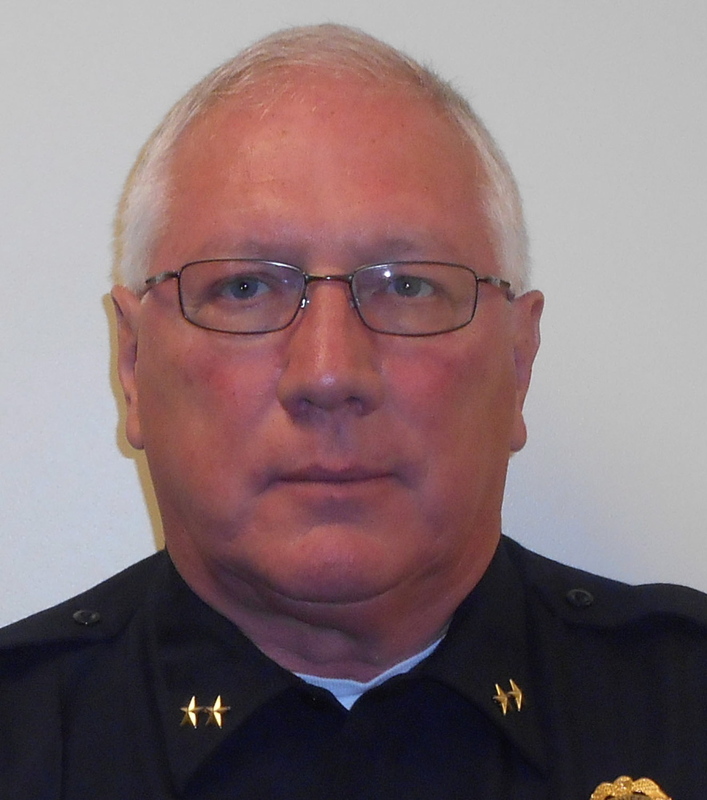 Waterville police Chief Joseph Massey said a resource officer’s role is to help create a safe learning environment and promote safety programs. Officers sometimes teach a class and will work with students during outside activities, such as sporting events. School resource officers must be adept at conflict resolution and mediation, Massey said. Waterville School Resource Officer Damon Lefferts, who joined the Waterville police two years ago after several years with another department, has proven a good fit, Massey said. Massey stresses the importance of building relationships over enforcing the law. Those relationships often lead students to entrust officers with personal information, including illegal activity. When that happens, the resource officer typically will call on-duty officers to respond to mitigate any conflict between the resource officer and the student. 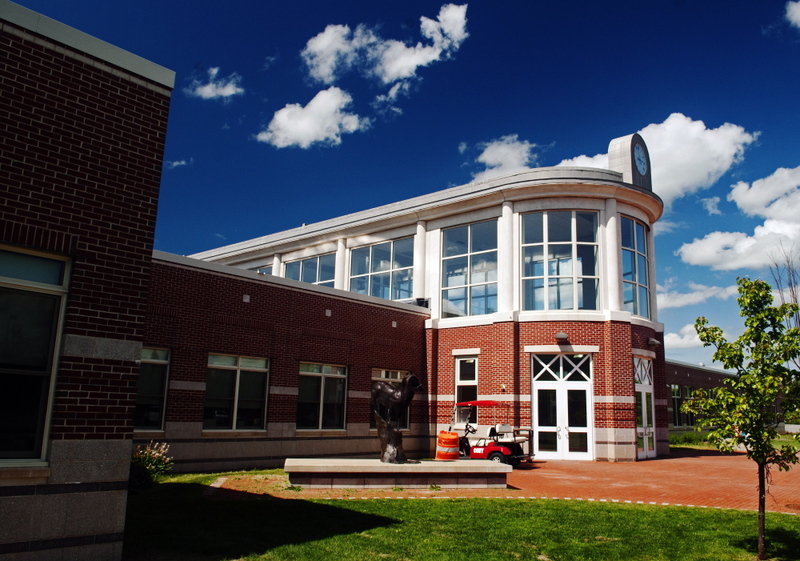 Silsby, the Cony principal, said those relationships can help steer students away from a path that would lead them into the criminal justice system. She pointed to the number of suspensions at the high school, which fell from 227 during the 2013-14 school year to 130 during the 2014-15 year, Wiggin’s first year on the job. 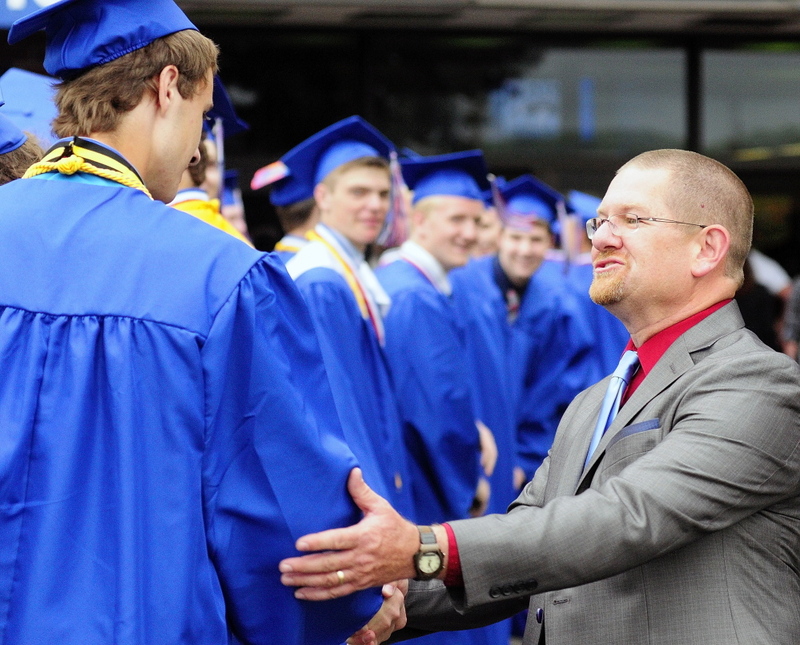 There could be a variety of reasons for that improvement, including the school’s alternative to suspension program, but Silsby said at least part of that improvement can be traced to Wiggin’s presence in the school.